The wait for the Palm Pre in Canada continues. The latest is that MobileSyrup snagged an internal document showing that Bell employees have began their training on the Pre and will continue to train throughout the month. My sources state a release date between July 29th and July 31st, which would make sense to me. That brings some credibility to the rumor. MacD, for those who don't know, was the user who leaked all the Blackberry Storm release information and has a knack for being right about these things. And yes, it does seem to contradict our earlier speculation of a September 1st release and it does seem to be coming awfully quickly. Then again, competing carrier Roger's has a data plan promo ($30/6GB) which ends on July 31st, perfect timing for Bell to impress those data hungry folk with the latest and greatest. 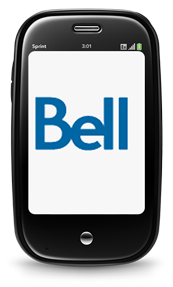 Just a reminder, you can still enter Bell's Palm Pre contest on this page.